When Prudence’s human, Sarah, doesn’t come home, the little tabby cat starts to worry. Before too long, Sarah’s daughter Laura and her husband Josh come to pack up all Sarah’s things, and take Prudence and the boxes to their own apartment. Laura and Josh don’t understand the most basic things about cat care (like introducing yourself properly, or how and when to feed a cat.) Prudence finds refuge in the room filled with Sarah’s boxes. The things she digs out of the boxes draw the humans in; Josh is fascinated by Sarah’s musical past, while Laura uncovers photos and memories she thought were long gone. Eventually, Laura relates the story of the first cat she loved- a neighbor’s cat called Honey. Josh and Laura are able to find common ground in the Sarah boxes. And Prudence realizes shes been lucky to find a loving home not once but twice. Its not common to read novels narrated by feline characters. Dogs, yes; cats, no. 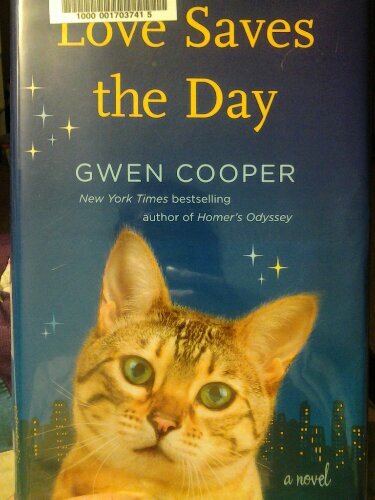 But I read and loved Cooper’s first book Homers Oddessy about her blind kitten (and other feline babies) and I knew if anyone could write a cat’s voice, it would be her. You might like: Homers Odyssey, Cooper. Feline Mystique, Simon. Telegraph Avenue, Chabon. This entry was posted in Uncategorized and tagged book review, cats, family, fiction. Bookmark the permalink. This sounds really interesting! I find it hard to imagine a novel narrated from a cat’s point of view, so I might have to try and get my hands on this so I can experience it first hand. Great review.